The Tale of the Mandarin Ducks (Lodestar Books, 1990) is recommended for ages 5-8. 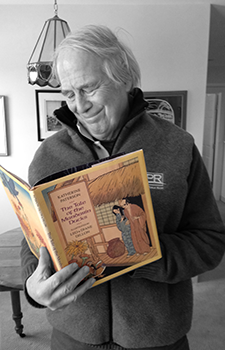 Be sure to check out Kellogg’s revised and re-illustrated 35th Anniversary Edition of Pinkerton, Behave! (Dial Books, 2014).